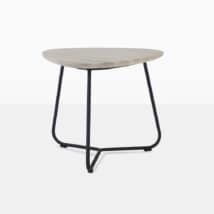 The Jimmy Side Table is just perfect for outdoor living. 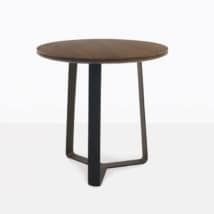 This side table is made with organic reclaimed teak, which has been washed to look like driftwood for the outdoor tabletop. 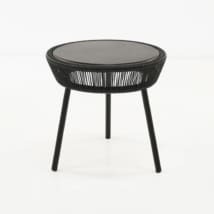 This is paired with striking black legs made of black powder-coated aluminum. It’s the perfect outdoor combination of materials to suit any outdoor patio or garden space. 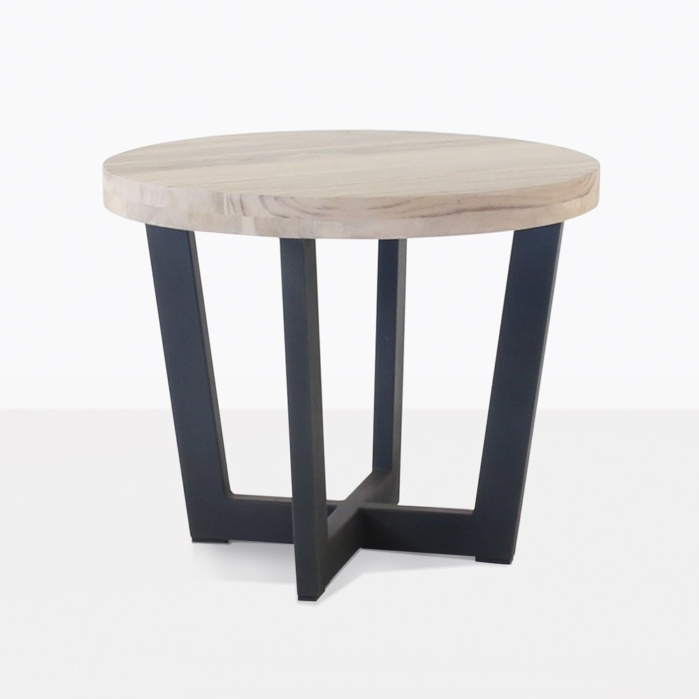 W21.6” x D21.6" x H18"
Side tables are becoming so popular with designers and our customers. They like mixing different shapes and sizes to complete an outdoor look. 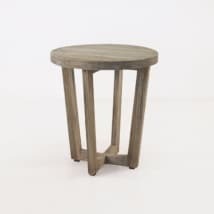 These versatile small pieces make outdoor décor fun and more interesting, as well as being functional. 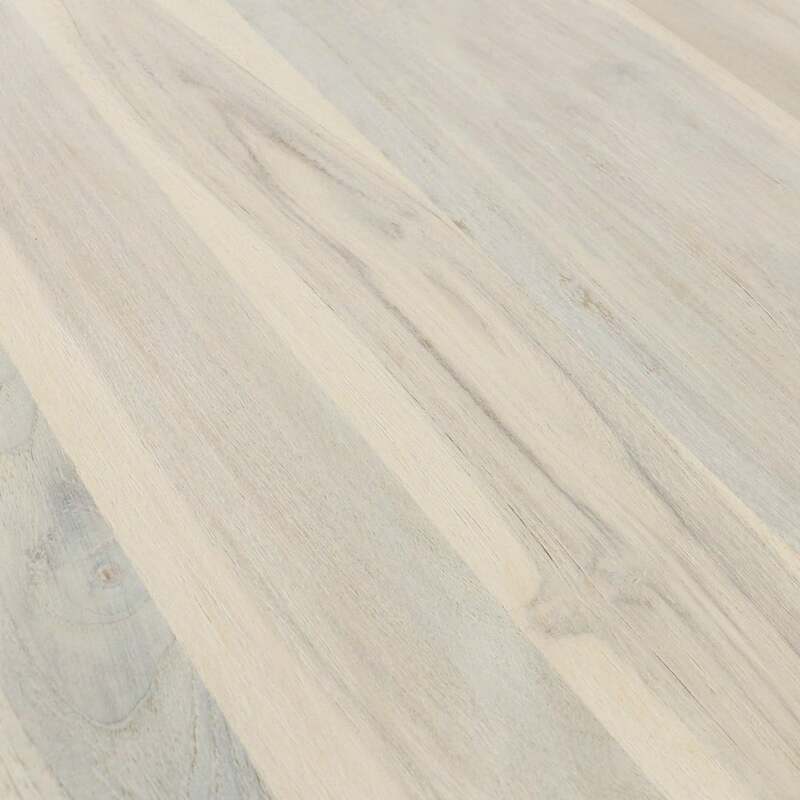 They can act as a new piece to refresh your favorite outdoor loveseat or relaxing chair. There are so many choices! Enjoy shopping our extensive online catalog, visit and shop our showroom or call us today. We look forward to helping you design a beautiful and functional outdoor space made with quality outdoor furniture.